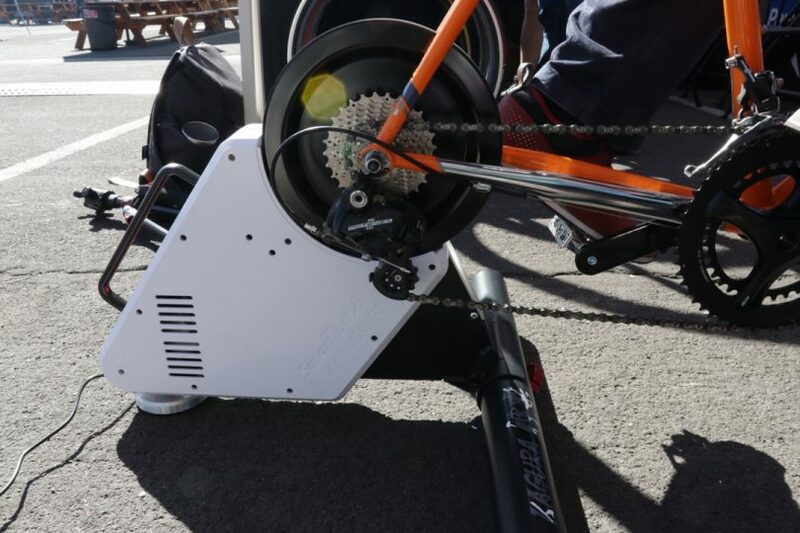 The Japanese company Minoura was at Interbike showcasing their first direct drive trainer, the Kagura DD. I had a chance to meet with them and give this new trainer a try. The Kagura direct drive was a pre-production model and even had some 3D printed parts so this isn’t really a review but more of a brief look at the trainer and the specs. I did have a chance to try it out and get a feel for the flywheel and the mechanics of the trainer. Minoura is placing the Kagura DD as a midrange trainer with a price tag of $900 and they hope to have it ready and start shipping later this year. Output speed and power. No cadence. I am putting this as planned specs for now since anything can change when you are in pre-production mode. If anything changes, it would probably be around power accuracy or slope. Other than power accuracy, the Kagura looks more like a higher end direct drive trainer. 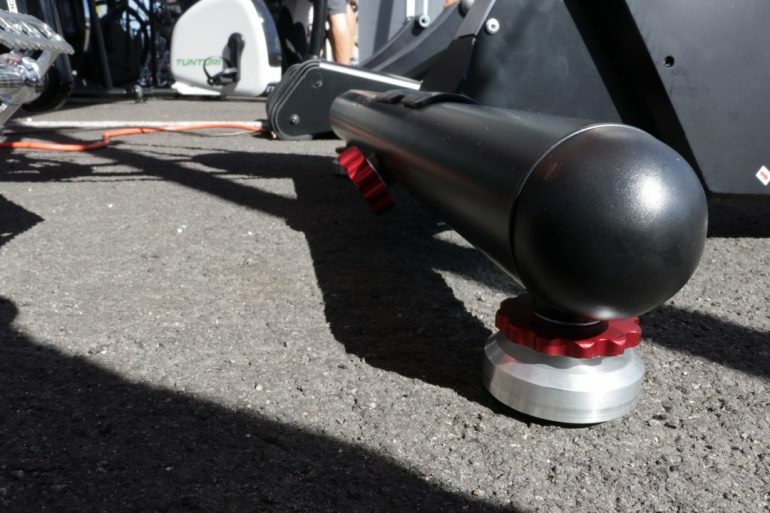 It comes with the heaviest flywheel of any other trainer currently in the market and the 25% slope support is more than enough to make your quads scream. I had a chance to ride for a few minutes and get a feel for the trainer. Overall the flywheel felt good. 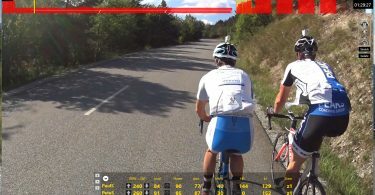 Basically what you would expect from a trainer with a 22lbs flywheel. Initially, you had to put on some power to just get it moving. I think they had me on a big gear too, but a couple of pedals later, it was moving and the inertia felt good. As for noise, the company is using a flat belt design making it very quiet. 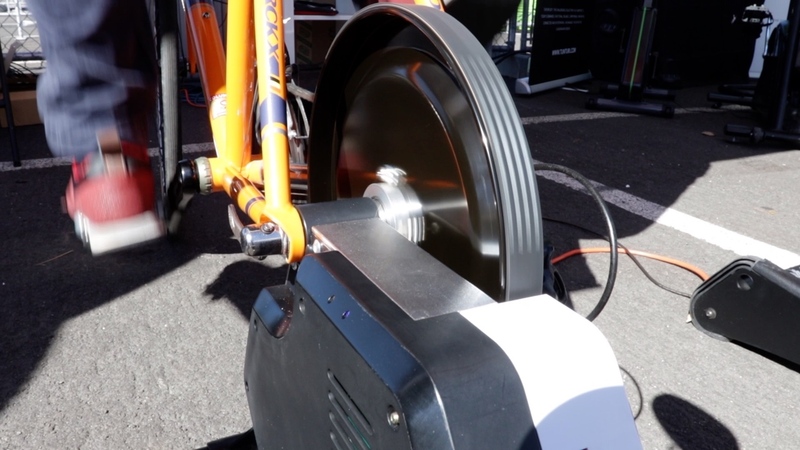 From my initial ride, I tried to listen to the trainer and I didn’t hear any noise but I was also outside in an expo. So until I get one and test it, I will just take their word for it. The trainer sits on three different points. You will find two height adjustable knobs on the front leg to level the trainer for uneven floors. The company is planning on a white casing for now. As you see in the photo, one side was white and the other side was black. The black side was from a 3D printed part. I personally thought the trainer would look better with all black casing but again, I have a weakness for all black and especially matte black. Just look at my bikes. The Kagura DD should be an interesting trainer to test. I hope to have one soon once they work out all the kinks and finalize the firmware. From the initial specs, the trainer looks impressive with a good price. I would’ve liked to see better accuracy than +/-3% but hopefully, that’s something they can work out and improve with firmware updates. 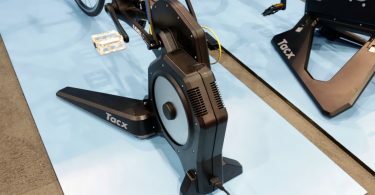 The midrange trainer market is getting competitive and companies are pushing the specs higher and higher. 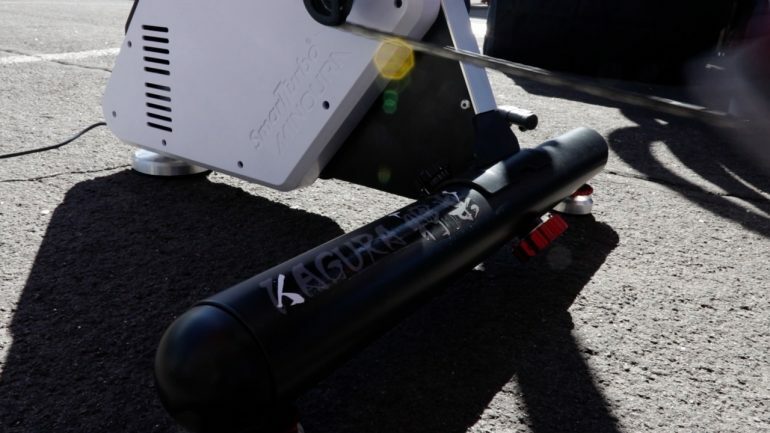 As you see from the specs of the Kagura DD, the trainer looks more like a higher end trainer but priced at $900 putting in line with other mid-range trainers such as the Elite Direto, Tacx Flux, and Wahoo KICKR CORE. At the end of the day, this is all good for the end consumer.